I've been (slowly) working on changes to my website to make it more mobile friendly, among other items. With so many pages it's taking a lot longer than I would like. I just made the changes to the biggest page on the site, "Changes during the Fair." I need to go back and improve many of the photos as they're now displaying at larger sizes on desktop devices, but please take a look and let me know if you spot any mistakes. I'm sure some snuck in there! I know I need to make an addition for Lowenbrau, but please let me know also if there were any other changes I missed that should be included. Bill, are you interested in not only corrections, but suggestions (in language) and recommendations as well? And should I post here, or PM you? You can post anything here or PM me. Either's fine. There should be two entries for The Pavilion/Churchill Center - I believe it might be confusing as it was in the guide book (at least I think it was) as The World's Fair Pavilion so the second entry is WAY down the list as such. 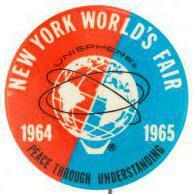 It's on my map over my desk as World's Fair Pavilion. Scroll down and you will see it. Abbott: OK, Lou, meet me at the Pavilion. Costello: I'm asking you WHICH pavilion? Abbott: The World's Fair Pavilion. Costello: You want me to meet you at the World's Fair, right? Where?? Costello: The fair is FULL of pavilions. WHICH ONE? WHERE DO I MEET YOU? Abbott: The Pavilion at the World's Fair. At this point Costello loses it!